As thoughts turn to what the coming 12 months has in store, futurologists are busy looking much further in the future. But how do they set about predicting events that are still a generation away? And can they be trusted? When considering what 2006 holds there are some near certainties, plenty of definite maybes and countless outside chances. Future-gazers with an eye on the High Street could tell you about a host of new products which, while unlikely to turn the world upside down, at least hint at the changing consumer trends. Coca-Cola, for example, is planning to capitalise on the growing thirst for coffee with its new Coke Blak a coffee-flavoured drink that is to be launched in January. Omega-3 fats, credited with reducing heart disease in men, look set to go mainstream as brands such as Muller plan to introduce them into more and more products. Bottled water drinkers will struggle to avoid the launch of a major new brand called Drench, which, according to makers Britvic, will be the first water brand to be targeted at the 18-24-year-old market. The cosmetics market is preparing to embrace mirrored nail varnish after Swiss-based company Ciba spent two years developing a metallic pigment made from coated aluminium powder. It'll be on the shelves before May. Technology, always a fertile sector for invention and innovation, will not disappoint. Sky is planning to launch its HDTV - High Definition TV - service early in 2006, promising clearer, sharper television pictures. Ten million households are expected to have broadband by the end of the year and the wireless future will spread as gadgets like digital cameras come with Wifi as standard. So, thanks to these near certainties, we already have some idea how the world will look in 12 months. But such events are dwarfed by the countless unknown occurrences that will eventually come to characterise 2006 just as the 7 July bomb attacks, Hurricane Katrina, the death of Pope John Paul II and the rise of David Cameron came to define 2005. But that doesn't mean no one tried to predict such events. Futurologists - people who study the future - are trying to do just that. Futurology is something of a black sheep in the ranks of traditional "-ologies". While it can be studied, it can't be tested through normal scientific means. A futurologist can only be proved right in the future. The inevitable, if unjustified, connotations with crystal balls, tea leaves and other supernatural means of predicting the future only encourage the sceptics further. And while at the start of a new year thoughts inevitably turn to the events of the coming 12 months, futurologists see that as the domain of analysts and economists. Futurologists, or futurists as they sometimes like to be called, tend to deal in the medium to long-term. 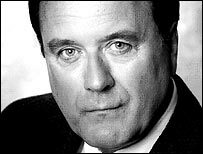 Futurologist Dr James Bellini, for example, sets his sights 20 years or so ahead. And, like all futurologists, he doesn't make predictions. 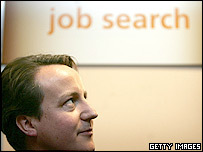 Who would have predicted Cameron's new job? "This game is not about predicting," says Dr Bellini, who began working in the field for the US Hudson Institute think tank. "I apologise because people think futurologists should have a pointy hat and a wand. We're not wizards. We don't predict." Instead, futurologists deal in "possible futures". "One of our big jobs is to pose big 'what if' questions. You then get to focus the mind on future scenarios and think outside the box." Tamar Kasriel, a futurist and trendspotter with the Henley Centre's Headlight Vision consultancy has a similar approach, seeking to look at the world as an outsider might. She has stressed the need to open one's eyes and "look beyond the focus of the day-to-day to get a sense of what's going on beyond the horizon". Another trusted approach is to extrapolate present social, political, economic and lifestyle trends into the future. But, paradoxically perhaps, Dr Bellini says futurology cannot ignore the lessons of history - a point frequently overlooked by the technologists who dominate the futurology market, he says. "The future is history. Nothing is really ever new. People look at the internet and say isn't it wonderful and revolutionary. Well, yes. But I say to them is IT special, because they think it is. "Is it more important than the wheel, than writing, or Gutenburg's printing press or the concept of the number zero." Futurology is not about giving direct answers, he says, but posing questions that focus the mind. So they will tend to construct a range of possible future contexts - a preferred future, an unfavourable future, a business-as-usual future - around which clients can make plans and contingencies. But what if he's wrong about these possible futures? How can one tell a good futurologist from a bad one if it takes a whole generation before they can be proved right or wrong? "Clients judge me on the credibility of my sources, the range of economic, political, social indicators that I draw on. If it's just whimsy and make-up stuff then yes, I've not done my job properly."